This may be the hardest article ever for me to write. As Gene can tell you, writing about a parent who has had a tremendous impact and influence on your life, and who has just passed way isn’t easy. In my case, it’s Alvin Guttag, former patent examiner, former patent attorney, son, brother to two sisters, husband to my Mom, grandfather to five grandsons (two of which are my sons), and most importantly to me, my Dad. Dad left this mortal world this past Thursday, December 27, at the age of 94, having experienced a full life and after a final year and a half of fairly steady (and occasionally precipitous) physical and mental decline. But what I’ll remember most about Dad is how he shaped me in so many important ways. As I’ve told many others, I truly sat at the knee of a master, both professionally and personally. What I’m going to focus on here is the professional part of Dad’s life. For about 11 years, Dad was a patent examiner at the USPTO in one of the chemical art units. Dad then spent another 30 years or so as a patent attorney with the former IP law firm of Cushman, Darby, and Cushman, first as an associate, and later as a partner. In all, Dad prosecuted and obtained several thousand patents for his clients, mostly in the chemical arts. (That’s correct, several thousand patents.) 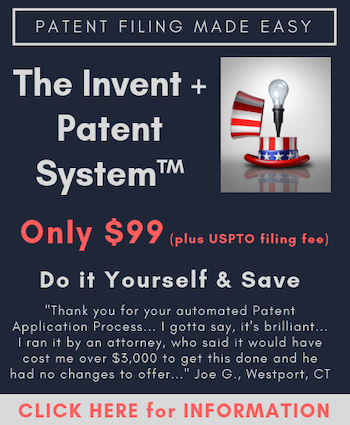 Dad often wrote patent applications the old fashioned way, by hand, usually starting with the abstract, and going forward from there. (Dad was a converted left hander whose right-handed scrawl describing chemicals and chemical formulas looked something like a jumbled oscilloscope wave; his secretaries often needed a chemical dictionary to follow what he had written.) Litigators sometimes view patent prosecutors as not being that good as “putting money on the books” (as my Dad referred to billing). But the litigators at Cushman, Darby, and Cushman always respected Dad because Dad could bill out more than all but the top litigators in his firm. That’s because Dad worked hard (and long) at his patent prosecution craft. 1. Don’t just make motions for the sake of making them. Any motion you submit should be for the purpose of putting yourself in a better position or your adversary in a worst position. 2. Make sure your evidence supports your count. You can have the “best” evidence in the world, but if it doesn’t support the count, it’s meaningless. Accordingly, if your evidence doesn’t support the count, you need to change the count. Dad also had a fairly active appellate practice, first before the CCPA, and then before the Federal Circuit. Dad may not have been the most impressive speaker. But Dad had a very organized and logical mind. I could read Dad’s brief once, and completely follow his oral argument without ever again referring to his brief. He also understood how to “go for the jugular.” As one of my Dad’s former partner once remarked, Dad (also a former fencer at MIT) was a master at thrusting at his opponent with a rapier-like argument such that the opponent would figuratively “bleed out” before they knew what had verbally “hit” them. The CCPA case is memorable to me for many reasons, including Dad swearing me into the CCPA bar before the late Chief Judge Howard Markey. (I think Dad was more nervous about swearing me in than arguing the upcoming case before the CCPA!) The CCPA case that Dad argued was an interference (of course!) called Sheffner v. Gallo, 315 F.2d 1169 (CCPA 1975). In actuality, this interference was a “thinly veiled” ownership dispute between my Dad’s client (Aaron Leonard Sheffner), and the company (Mead Johnson) of which my Dad’s client was a former employee. Even more unusual was that, after losing this so-called “interference” before the Board of Interferences (which ruled that neither party could be awarded priority of the sole count involved because the count was invented by a “third party”), Dad was the only one to appear at that oral argument before the CCPA. One thing that the Sheffner case particularly illustrates is how hard Dad fought for the “little guy.” My Dad’s client was on kidney dialysis, dying, and really not in a position to pay the fees that my Dad normally commanded for interferences. But that his client might not be able to pay didn’t matter to Dad; his client was the individual “David” in a struggle against the corporate “Goliath” on the other side. Instead, Dad took the case on a contingency fee basis, a rarity for Dad or probably any other patent prosecutor in that day. Mead Johnson also made a serious tactical “error” in turning this interference into a “personal” battle with my Dad’s client. (One thing I learned about Dad was never EVER make the case “personal” with him or his client, or you were likely to regret doing so.) I also remember that Judge Rich tried to trip Dad up during oral argument on the interference rules, but Dad knew those rules, backwards and forwards. (I can also recall Judge Rich, or one of the other CCPA judges asking Dad whether it would have made sense to have had the Solicitor appear before the CCPA in this case, and my Dad responded “yes,” even though having the Solicitor appear might not have been helpful to Dad winning this case for his client.) The “good news” was that the CCPA completely reversed the Board of Interference’s ruling, holding that an award of priority couldn’t be refused based on inventorship of the count being someone other than the parties in the interference (i.e., third party inventorship was not “ancillary to priority” as it was referred to back in that day). Unfortunately, my Dad couldn’t stem the “race against the clock” for his client: the patent resulting from this interference issued to Aaron Leonard Sheffner after he had died. The oral argument in the Federal Circuit case I witnessed illustrates how well Dad understood what “battle” had to be won in a prosecution “war.” I don’t recall the name of this Federal Circuit case, but it involved an ex parte examination of a patent application on a method for catalyzed polymerization of unsaturated monomers as I recall. The Board of Appeals had affirmed the Examiner’s rejection of Claims 1-43 for obviousness under 35 U.S.C. § 103 over certain prior art. What Dad realized was that his strongest argument for unobviousness over this art was in dependent Claim 43 (reciting a specific type of catalyst). If Dad couldn’t convince the Federal Circuit that Claim 43 was patentable, his client wasn’t going to prevail in the appeal. So guess what Dad did? When Dad stepped up for his turn at oral argument, he started off by saying “the Solicitor keeps talking in his brief about independent Claim 1; I want to talk about dependent Claim 43.” So off Dad went explaining why dependent Claim 43 was unobvious over this art (based, as I recall, on the patent law doctrine in chemical practice that catalysts were “unpredictable.”) In what might be called a “bizarre turn of events,” the Federal Circuit panel (which again included Chief Judge Markey) affirmed the Board’s ruling with respect to Claims 1-42, but reversed that ruling as to dependent Claim 43. (In the resulting prosecution, Dad then amended these rejected 42 claims to depend from Claim 43, now written in independent form, to place the application in condition for allowance.) Again, Dad, the former chess master, had tactically maneuvered his pieces in the oral argument to achieve a successful outcome. Now that Dad is gone, I’ll miss him dearly, including his fondness for poetry, anything Teddy Roosevelt, the Peanuts comic strip, and his corny “chemistry jokes” (e.g., what do several “Fe’s” in a circle form?). I’ll also miss the time we shared together doing long distance running on the roads and in races. (Dad was well known in running circles, especially in the DC area, competing in senior events well into his 80’s and continuing to run, even at a much slower pace, into his early 90’s, while at the same time enthusiastically supporting his fellow runners.) Dad was also instrumental in me developing my love of golf, even though Dad (by his admission) was probably one of the worst golfers ever to play the game. But most significantly, what will stay with me to end of my “mortal days” is Dad’s zealous sense of fairness and justice for all, especially for those who weren’t as fortunate, mighty or powerful. Dad was certainly “one of a kind.” I was truly “blessed” to be my Dad’s son. Thanks much for your kind words. Dad really mentored me, my brothers, and many, many others. i hope I’ve given you at least glimpse of what a legal titan Dad was. My condolences to you and your family. The Cushman legacy continues to live on. EG, condolences on your losss. Keep carrying the banner he hoisted! Thanks for the very kind words. Yes, John, I am “my father’s son,” as is my patent attorney brother Mark, and proud of it. The members of CD&C were like a family to us in many ways. For example, John Malley, one of the senior partners, felt it was preordained that I become an attorney at CD&C; I just couldn’t work there for the long term because too many at CD&C knew me as far back as when I wa a “mere babe”! Like the passing of my Dad, the passing of CD&C into oblivion is truly sad to me. Your father lives on in his children and grandchildren, in the legacy of his work, in the interest that you and Mark have in this profession and especially your concern for its future as demonstrated by your postings in this blog. Please accept my sympathy for your loss. Eric, I’m so sorry to hear of your loss. Thank you for sharing such a great story and history. With so much evil in the world, it’s hearing about people like your wonderful father that helps restore and maintain my faith in the large majority of human beings. You and your siblings were truly blessed. Dear Paul and Steve M.
Thanks so much for your kind words. As I said, Dad was “one of a kind,” the Atticus Finch in our patent prosecution world. I’m very sorry to hear of your profound loss. You are obviously a very lucky man to be your father’s son. Try to remember all of the good and joyful times, and cherish all of the gifts he gave you. It helped me a lot when I lost my father. Thanks very much for the kind words and thoughts. I was “very lucky” (and as I said, “blessed”) to be Dad’s son. Something I didn’t put in this article was that Dad was instrumental in my choice of undergraduate school (Carleton College, where Dad was a graduate assistant in 1944) and law school (T.C. Williams School of Law, University of Richmond, which Dad attended when the USPTO moved down to Richmond during World War II). Responding to your comment about “try to remember the good and joyful times,” that’s one of the reasons I wrote this article, so not only could I remember those “times,” but could share them with many others touched by Dad or who could find inspiration from what Dad did and what he taught me, my brothers, and many, many others. (I could also share other countless stories about Dad, many quite humorous, but I’ll only do that on the phone to protect the “innocent,” as well as the “guilty”!) Dad will always remain a “legal titan” in my eyes. I refer in my article to Dad arguing one case (the ex parte examination on the catalyzed polymerization process) before the Federal Circuit. After considering when the Federal Circuit was created (1982), that case may actually have also been before the CCPA. But what I otherwise wrote about Dad’s argument in the case is correct, at least in its “essence”. (as best I recall many years later). I am so sorry to hear about Alvie. I worked with him for a long time at Cushman. I remember how down to earth he was with everyone on the staff. Most of all I remember his “corny” jokes. He would come in to the docketing department and start his “stand-up” routine. He was so enthusiastic and found himself so funny — that we would all be laughing because he was laughing so hard! Our laughing just encouraged him to keep on with his routine. We were all very fond of him, he was a nice man. Thanks so much for the comment about Dad. Yes, he had many “corny” jokes (and we in the family heard all or most of them!). As I said in an earlier comment, CD&C was like “family” to us. Again, thanks much.